Get Ready for Red, Purple Line Delays! 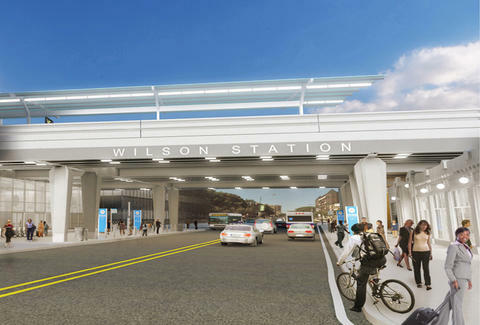 If you take the Red or Purple lines into the city during the morning rush, you might want to give yourself even more extra time to get to work thanks to the new phase of the CTA's massive Wilson Station Reconstruction Project. Awesome. For the next year, Red Line trains and Purple Line express trains will share a single track between Wilson and Belmont, which the CTA said will result in delays of up to six minutes during the madness of the morning commute. Specifically, southbound Red Line trains will see delays of about 2 minutes to 4 minutes due to train congestion on the track in the morning, and Purple Line express trains could see delays of 4 minutes to 6 minutes, according to the CTA. Northbound service is expected to be unaffected during the work. CTA construction crews began work on demolishing the existing Purple Line track at the station over the weekend, WGN reported. It is the next phase of the transit agency's $203 million reconstruction project, which when completed in late 2017, will have finally improved the 91-year-old station and its track structure, which is over 100 years-old, according to the CTA. The new station will be more spacious and accessible, and will be a new transfer point between the Red Line and Purple Line express trains. Ultimately, the CTA said the project will help eliminate slow zones on the line and improve "service reliability for customers." Tony Merevick is Cities News Editor at Thrillist and will never forget all hours of commuting between Rogers Park and the South Loop for work and school a few years back. Follow him on Twitter @tonymerevick.